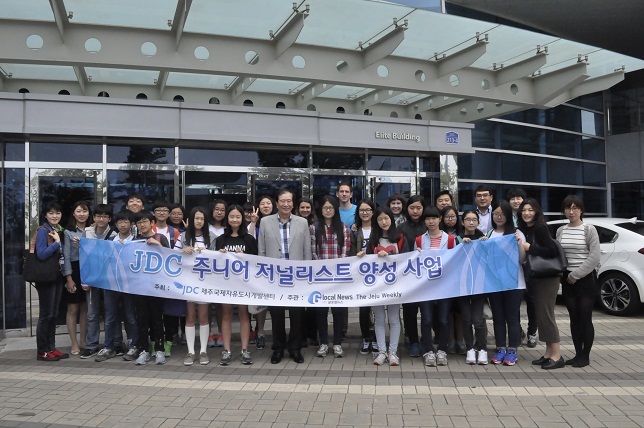 On May 17th 2014, The Kim Han-wook who is the JDC’s chairman held a press conferenced for the JDC Junior Jounalist in the conference room. JDC, The Jeju Development Center has a lot of projects for Jeju island and Jeju citizens like economy, environment and culture. Recently, JDC is trying to advance the use of English. Jeju citizens who have an interest can join this project.